Simple yet elegant design. The iron framework is hand forged. Decorative balls are cast in place in the traditional manner. 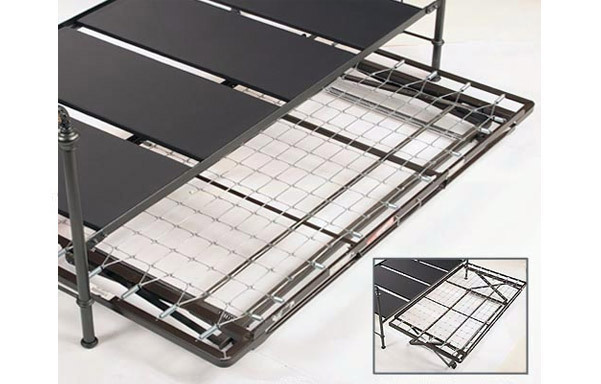 Optional pop-up trundle unit stores a mattress underneath and pops up when needed. 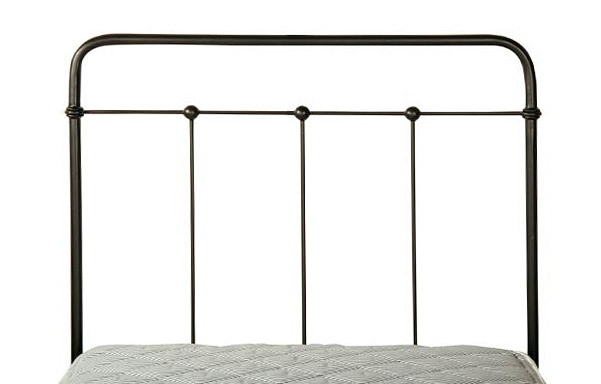 Review: "This is a beautiful, sturdy bed. It is exactly what I was looking for. I ordered the bed and received it in just a few days, so I am very pleased with the fast shipping. Plus, at that time, I had the bonus of free shipping. 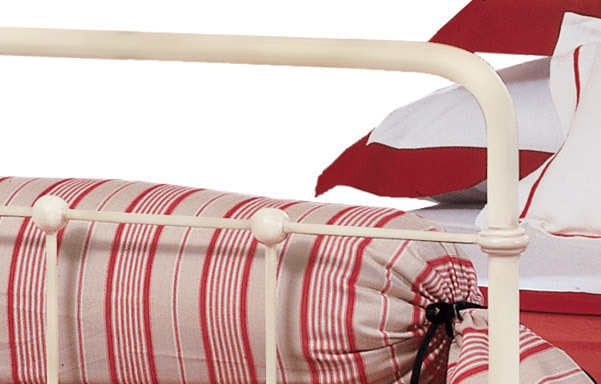 This is an heirloom quality bed. It is one that can be passed down for generations." Review: "The quality and styling is great for the price. I have been looking for a solution for our guest room for our charming old house. This bed looks adorable!" 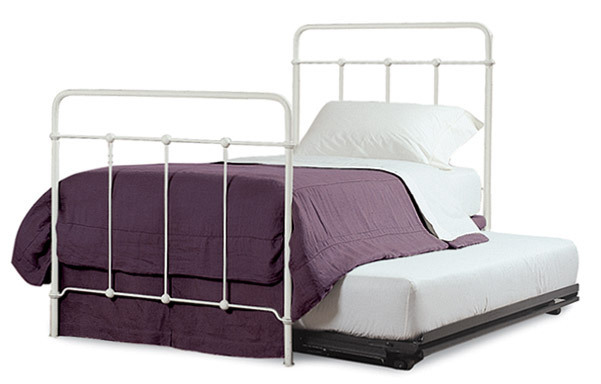 Review: "Love my new twin bed with the pop-up trundle. Delivery was free and excellent. All materials packed well and not much work to put the bed together. I also ordered the (2) mattresses and they are also excellent. Over all the whole process was great and it looks sooooo good." 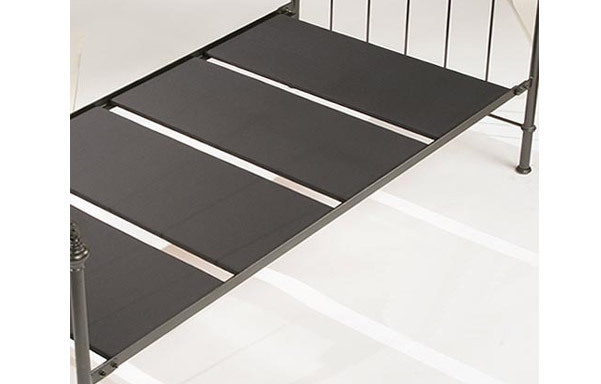 Review: "I am impressed with the bed's quality and the way it was packed and shipped so carefully that it could not possibly have gotten scratched. I think the pictures and info online is very accurate so I got just what I expected. 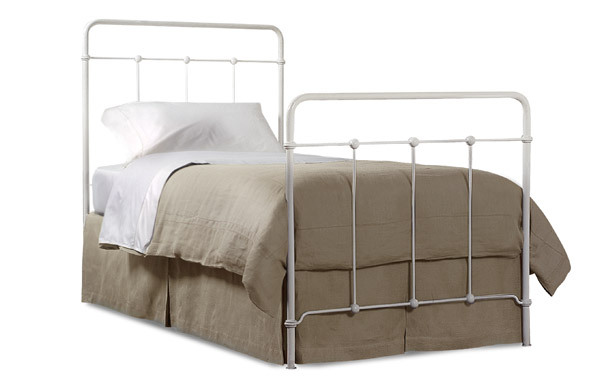 This bed and trundle will last for many years to come and I will be proud to offer it to guests when they come. I was not very impressed with the customer service over the phone. I kept thinking that the person I spoke to would rather be anywhere than on the phone with me and I had to listen hard to understand what she said. I was also disappointed about the length of time it took for my bed to arrive. I ordered it on 12-23-11 and it came on 1-11-12!" 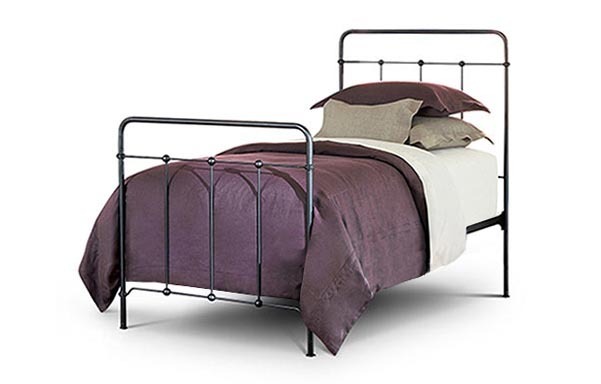 Review: "The beds are solid, good looking, well constructed and easy to assemble. The dark finish looks very nice in person (hard to tell online). Very pleased with this purchase. While the overall product quality is great, what blew us away was the personal and highly competent service. This is the best service I've received - online or off - for years. Real human being contacts you via email and provides helpful, accurate, and friendly information. AMAZING. Will for sure shop here again. 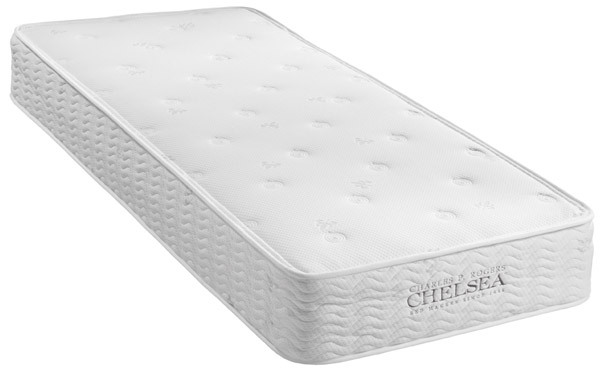 Only watch out...we got the premium Chelsea Mattress...it's VERY firm. Would recommend a different mattress if you don't like firm. Thanks!" Review: "We ordered two queen-size iron beds in the past (loved them and the linen bedding), so Charles P. Rogers was the first place I looked for two twin trundles for the lake house. They arrived, we put them together, and again, the quality is outstanding -- mattresses are nice -- we're pleased with the results. There was a little glitch with shipping one part of our order, and we attributed that to the shipper. We received the replacement item a few weeks later."